With Mother’s Day fast approaching, we are reminded once again how great our mothers truly are. We even got to witness the joys of working from home in a hilarious BBC interview. Now a household name, Robert Kelly, was giving a live Skype interview on the BBC, only for his kids to crash the interview and steal the show. In a now viral remake of this infamous interview, a woman is being interviewed by the BBC, but the outcome is somewhat different. The mother handles the interruption very well, managing to feed and play with kids, find the husbands socks, check dinner, oh and she defuses a bomb through the interview too! Perhaps, a slight exaggeration, but being a mother and working a full-time job needs to be commend, multi-tasking abilities and patience are fundamental! Louise re-joined the world of work again after just 4 short months, which she admits was a welcomed comeback as she spent most of those months inside, due to the usual glorious Irish summer. Everyone woman and mother is unique in their own values, but for Louise it was imperative she returned to her business, not just for its success but for her own well-being. 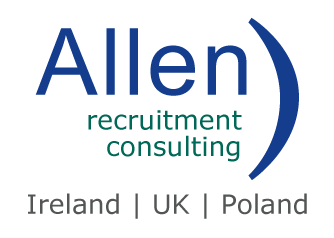 “I am passionate about the work we do in Allen Recruitment; every day brings its new challenges and rewards (I could write a book about every aspect – if I had the time)”. In Ireland, things are steadily improving for parents, with paid paternity for fathers being introduced just last year. “I know that much has improved in the workplace and legislation to support working Mums but there are still scope to improve,” Louise added. So, what’s Louise’s answer to the age-old question – What is more challenging, being a mother or your working life?